I adore Christmas morning. I adore the sounds of glee from the boys, as they open their gifts and search their stockings. I adore the time we get to spend all cozy in the living room with our family. I adore sitting on the couch with my coffee in hand, just watching the magical fun of Christmas morning. While I love cooking and making holiday food, I think I love sitting on the couch enjoying the moments more. Which is why these Christmas Morning Breakfast Sandwiches are the BEST. They can be made ahead of time and reheated when you’re ready to eat! They are also freezer friendly – if you really want to make them in advance, you can freeze them (details below). I made these the other day, while I was in the kitchen doing some holiday baking. And now I don’t have to worry about breakfast on Christmas morning. Boom! Also, the little splash of red and green in the sandwich also gives it fun Christmas flare. I love how the cheese melts down and holds the sandwich together! Cook the sausage. Saute the red and green bell peppers. Assemble the sandwiches (as bulleted above). Keep in the fridge for 1 day, or freeze. Borden ® Cheese has been crafted with high-quality, wholesome ingredients and the same genuine love and care you find on American, family-owned dairy farms. Borden ® Cheese is brought to you by a cooperative of more than 8,000 family-owned dairy farms across the United States. Every chunk, slice and shred of Borden ® Cheese is pure, creamy goodness that transforms your family recipes into something memorable, because with Borden ® Cheese, love is always an ingredient. Whether it’s baking a hearty cheese casserole in the winter, grilling up a cheeseburger in the summer, or sharing snacks after school, Borden ® Cheese makes every meal and every moment better. They have a wide range of cheesy offerings to satisfy every taste, including Mild Cheddar, Mozzarella, Mexican, Swiss, Sharp Cheddar, American, Colby Jack and more, which are available as singles, shreds, chunks, slices, strings and snacks. 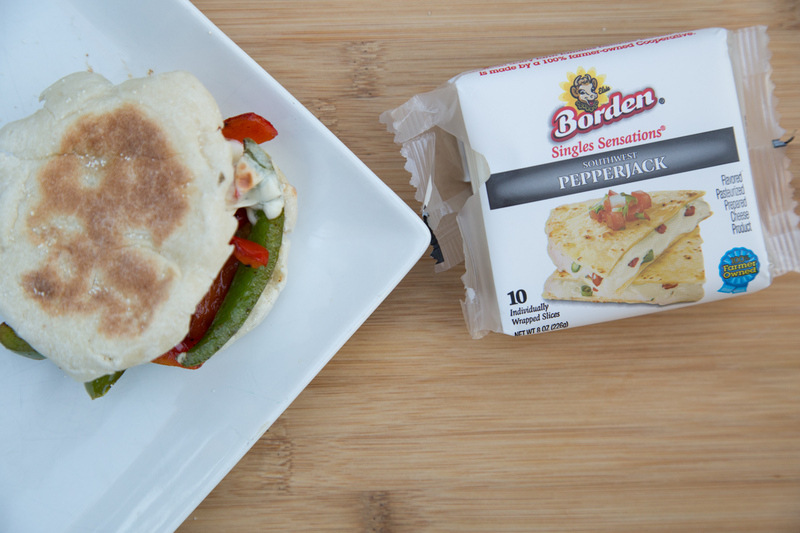 Borden® Cheese is available at major grocery stores and independent retailers across the country. For this Perfect Christmas Morning Breakfast Sandwich, I’m using the American sliced cheese. 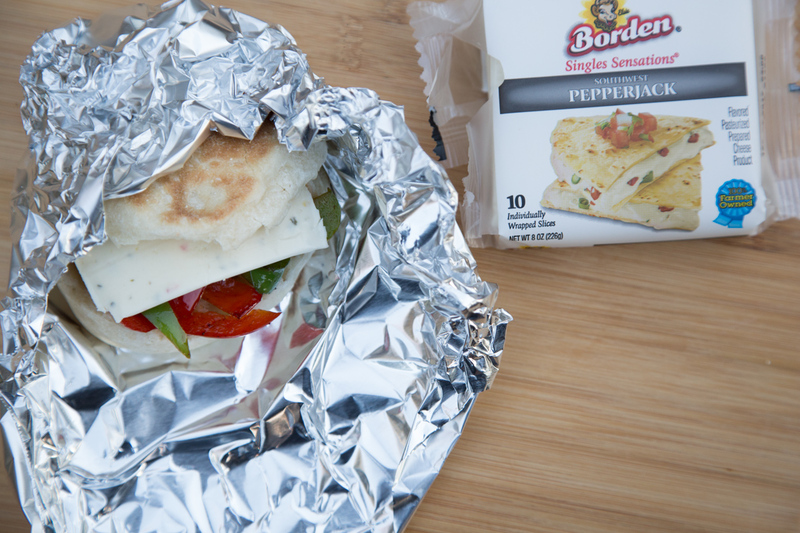 I think that the Pepperjack sliced cheese would pair wonderfully with the sauteed bell peppers – and would give it a nice zip and zest as well! Cook the sausage patties, as directed. In the same skillet or pan, saute the sliced bell peppers with olive oil for 4 to 5 minutes, or until softened. 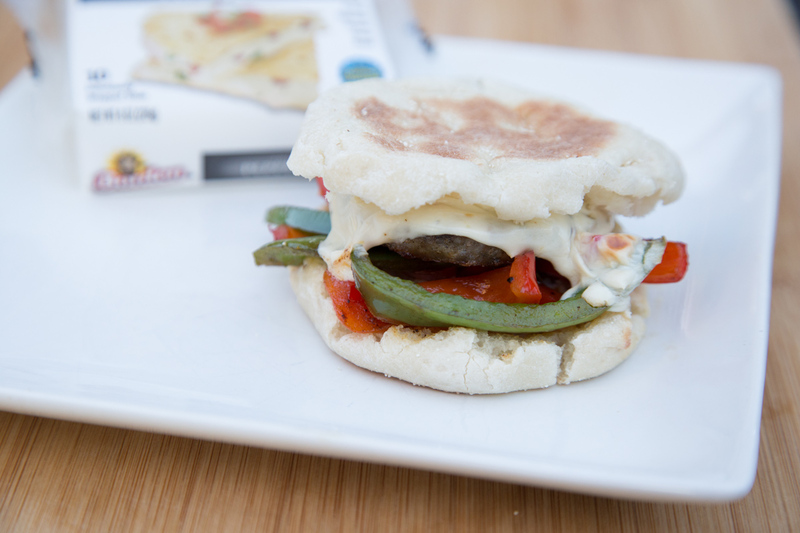 Assemble sandwiches from the bottom to the top, in this order: English muffin bottom, sauteed bell peppers, sausage pattie, cheese, English muffin top. Place on baking sheet and bake for 10 to 15 minutes, or until cheese has melted. 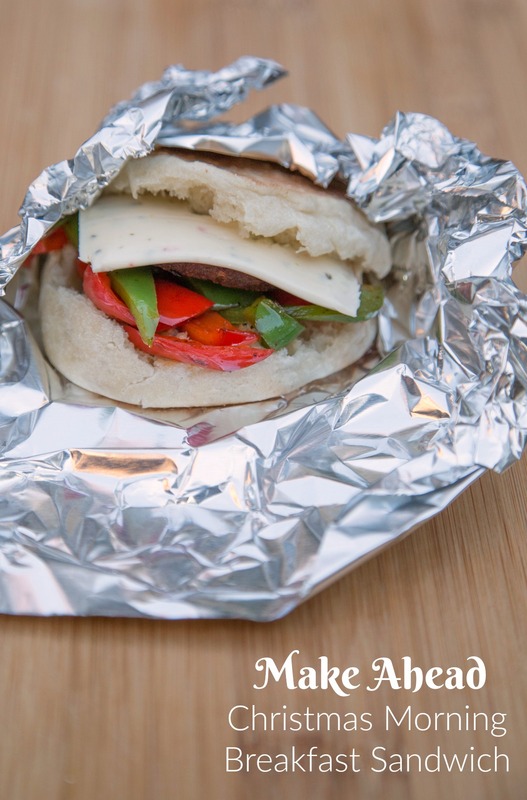 Serve the Perfect Christmas Morning Sandwich…on Christmas morning, or any other morning! Disclosure: This post is sponsored by Borden cheese. Recipes and opinions are my own.